and vehicle accessories that can’t be beaten for quality or value. If you want to transform your commercial vehicle with the right carry-and-storage solution, you’ve come to the right place. We built the first custom ute tray in Australia over 30 years ago. Now we build every kind of solution for every kind of commercial vehicle. 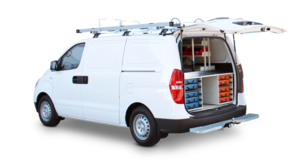 No matter what make, model or year your vehicle is we can help you transform it into the mobile workspace and storage system that’s right for you and your business. We design and manufacture all our own trays from the best possible materials, which means you can be sure of consistency in quality, durability and looks. And there’s no need to buy different components from different vendors and risk getting inconsistent or inferior parts. 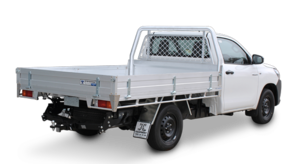 For consistency across your fleet and your brand’s corporate image, we recommend Tip Top trays for both your ute and your truck. 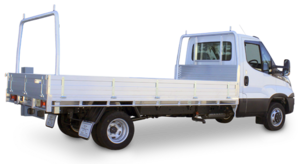 For as little as a dollar a week extra on your finance you can transform your ute, van or truck into the work vehicle of your dreams. You can buy our trays and accessories direct from us or from your vehicle dealer. But if you choose to buy from your dealer make sure you insist on the best. Insist on Tip Top, because anything else is a poor imitation. 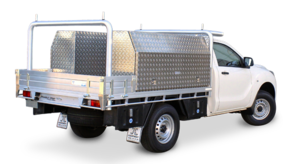 If you need to transform your commercial vehicle, whether it’s a ute, a van or a light truck, we can help you turn it into your ideal mobile workspace and storage unit. With over three decades of experience, we can advise you what the best solution is, based on your specific needs and on your budget. We think our products, our customer service and our after-sales service is miles ahead of our competitors, and our customers agree. We can even transform your vehicle with a faster turn-around. If you’d like to find out more about how we can help, come and visit us in our showroom, or call for a consultation. INSIST ON A TIP TOP TRAY! Mark Supple. Supervisor SMS Municipal Services.